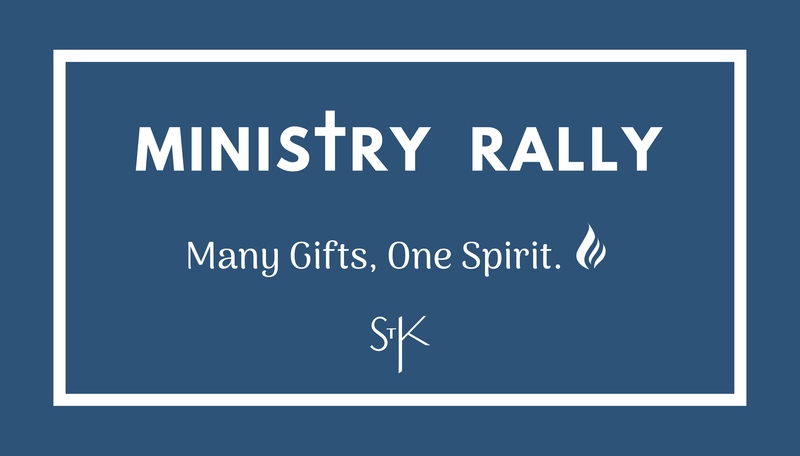 The Ministry Rally will provide one with the opportunity to speak directly with parishioner directly involved in the many ministries and programs. One can find out the purpose and activities of the ministries, whom they serve, what resources and volunteers are needed, the time & commitment involved, opportunities, etc. Everyone is welcome to come and prayerfully consider how one can share their time and talent in the parish.